The Shining EP-P380 nylon SLS 3D printer is now available at Makerpoint. Contact us for more information and pricing. 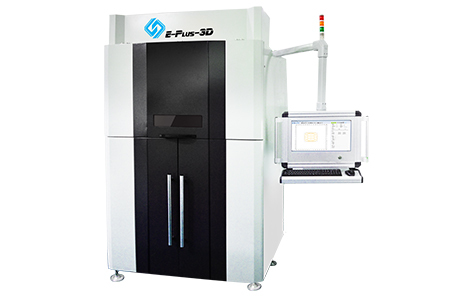 The EP-P380 is an SLS (Selective Laser Sintering) nylon 3D printer, it can be used to print intracity and complex shapes out of nylon powder. The EP-P380 can be used to print architectural models, parts for testing and product development and much more. SLS is the process of heating a material so it sinters together. As most other 3D printing technologies SLS is a layer by layer process. For every layer a slice of the model is sintered. The advantage of SLS is that the material that is not sintered functions as a support structure for the model to rest on. 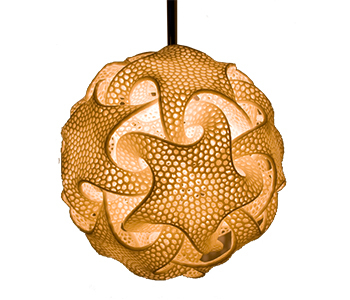 Because of this it is possible to print organic an complex shapes. The forming cylinder of EP-P380 is detachable, this increases the manufacturing and sintering efficiency and reduces the standby time of the machine. The Ep-P380 has a wide range of possible use cases. 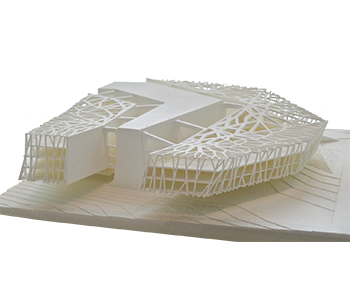 It can be used for mold making, in the automotive industry, in product development and to create architectural models. Besides use in the industry, it can also be used as a creative outlet empowering artists and designers to turn their vision into reality. Feel free to contact us for more information about the EP-P380 and pricing or to get a quote.